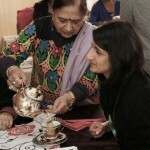 Artist and Tea party hostess Sadia Ur-Rehman has been busy developing the project ‘Edible Plants: Community Dialogues’ for Royal Botanic Gardens, Kew. 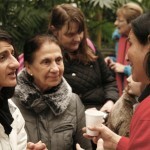 Sadia will be working with four local community organisations in a series of workshops in the format of a ‘pop up tea salon’ to explore edible plants in both the Temperate House and Palm House. 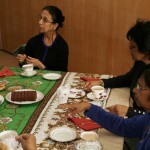 The project aims to engage and bring together groups of different, diverse cultural backgrounds to creatively explore and exchange dialogues on edible plants. 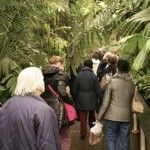 The origins of a series of edible plants will be explored, how they are used in cooking and in particular specific stories shared and captured. 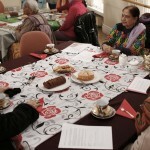 On Thursday 21st February, Sadia hosted her first tea party with Age UK Hounslow at Kew exploring the edible plants; tea, cocoa, chilli pepper and turmeric. 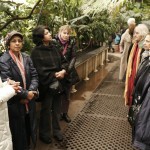 The group had some lively discussions and shared some interesting stories!